Welcome to our guide to the Best GPS Trackers for Dogs! In this article, we’ll explain the importance of using dog GPS trackers, the different types of pet tracking collars and devices on the market, and review 5 of the best options for your canine. Few things are as frightening as the thought of your beloved pet vanishing into the ether. He may become lost and unable to find his way home, he may wander into traffic and suffer a horrific injury, or he may even fall into the hands of a thief. Understandably, most owners try to do what they can to avoid these problems. They keep their dog on a leash during walks, they promptly patch holes in the backyard fence, and many even have microchips implanted under their pet’s skin to make finding their pet easier if they become separated. But none of these strategies are foolproof. Your dog may dart out the front door as you grab the morning paper or surprise you with his ability to jump over the fence, once properly motivated by a passing cat. And while microchip implants do provide some value, they are passive devices. You’ll simply have to sit at home and worry while waiting by the phone. These types of RFID chips are only helpful for identifying a dog – they won’t help you actively track your lost pup down. If you want an active tool that will help you spring into action and track down your pet in real time, you want a GPS dog collar or tracking device. We’ll explain GPS trackers for dogs below, tell you about the things you want to look for when picking one out for your pet, and we’ll recommend five of the best GPS trackers for dogs on the market. 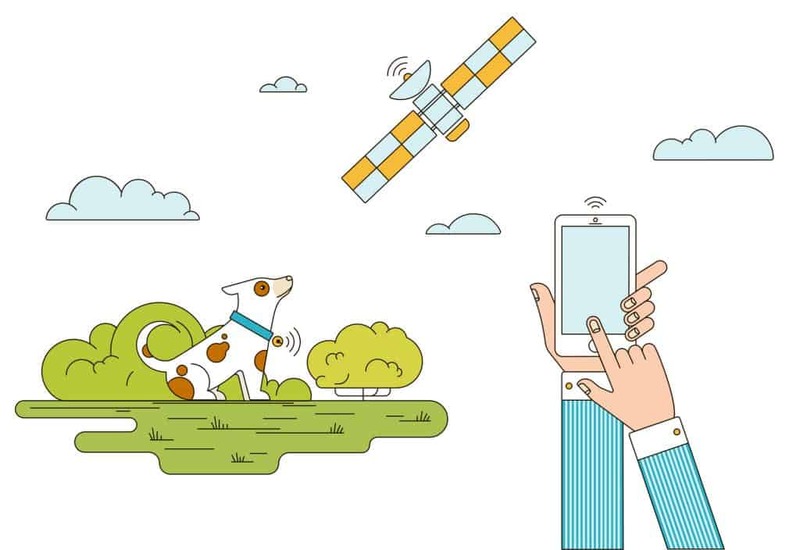 What Does a Dog GPS Tracker Do? A pet GPS tracking device essentially allows you to track down your dog in real time as though you were a special agent tracking down your kidnapped love interest in a Hollywood thriller. They enable you to look at a digital display and see a flashing dot (or some other icon) that indicates your dog’s current location. GPS tracking systems vary slightly from one model to the next, but they all work in essentially the same way. You attach a collar or tag to your dog. Then, when you need to find him, you use your smartphone, a dedicated hand-held tracking unit, to locate him by utilizing GPS satellites. Many dog GPS trackers do a few other neat things too. 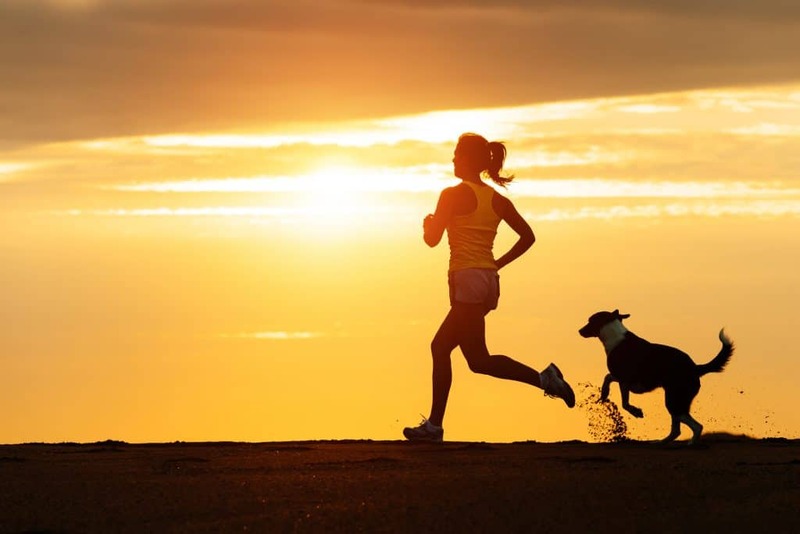 Some will monitor aspects of your dog’s health, while others are activity trackers, which will collect information about your dog’s movements over the course of the day. Who Needs a GPS Tracker for Dogs? We’d honestly recommend a pet GPS tracking device for every dog. They’re easy to use, they won’t cause your pet any grief, and many are pretty affordable. And above all else – it may reunite you with a lost pet. Find yourself in such a situation, and you’ll deeply regret not having fitted your dog with a tracking device with the ability to pinpoint your dog’s location in real time. If we’ve described you or your dog above, a GPS dog tracker is simply imperative. Because GPS technology is becoming cheaper and more ubiquitous by the second, there are a number of tracking devices on the market. However, there’s a big difference between the good models and the not-so-good models, and you certainly don’t want to purchase a substandard model. We’ll provide a few specific product recommendations in a moment, but first, we need to explain a few of the things you’ll want to consider when picking a pet GPS. You should always ensure that any GPS dog tracker you consider is weather-proof or water-resistant. You don’t want to go to the trouble and expense of buying a pet GPS tracking device, only to have a little rain or snow render it useless. But, while water-resistant/weatherproof models may be alright for some dogs, those who swim (or are likely to do so upon achieving freedom) should always be provided with a completely waterproof tracker. It is important to ensure that you don’t choose a GPS dog tracker that is too heavy for your dog. Doing so may make him very uncomfortable and ultimately lead to serious problems like reduced activity levels and depression. You wouldn’t want to walk around with a heavy weight all the time, and neither does your dog. This will typically be a minor concern for most Canine Weekly readers, as we typically cater to the large-dog crowd. However, it is a very serious concern for those with small- to medium-sized dogs. It can also be counterproductive for working, hunting, or competing dogs, as it may compromise their performance. Some GPS tracking devices measure the temperature of your dog’s surroundings at all time. This allows you to monitor your dog and be sure that he’s not getting too hot or too cold. This is not only important information to know if your dog has escaped, but it can be useful when your dog is outside at night or waiting in the car for you. In an ideal situation, your escapee will run right up to a dog-friendly person, who can help reunite the two of you in a quick manner. But unfortunately, microchip implants don’t accomplish this. These types of chips can only be read by someone with a special electronic device – which typically means vets and big-budget shelters. And while the standard GPS dog tracker won’t provide any help in this regard, some of the best models have a chip that can be read by a standard smartphone. This can provide your contact information – as well as any pertinent health information – to the bystander, thereby helping bring about a happy reunion. Most GPS trackers for dogs require you to enroll in a subscription service to access the GPS data, but a few can be used without paying for a subscription. All other things being equal, pet trackers that don’t require you to subscribe to a service are preferable, but you shouldn’t automatically consider them deal-breakers. The prices of different trackers and subscription services vary, so you’ll just have to do the math to figure out the best strategy for your circumstances. However, we’d suggest that this should be a relatively minor concern and that the differences in cost between the various services are typically somewhat minor. Battery life is a crucial characteristic to investigate when deciding to buy any GPS pet tracker. You don’t want the battery in your pet’s tracking collar to die while you are trying to locate him. Accordingly, you’ll want to make sure that you avoid any GPS dog tracker that doesn’t provide at least 2 days’ worth of battery life between charges. Most GPS tracking collars come with a charging station or power cord, which you can use to recharge the battery. Make a practice of doing so every night, so that you can rest assured that your dog’s collar will have enough battery life if you ever need to track down your pet. Some of the best GPS dog trackers not only serve to help you find your lost pet, but they also record your pet’s activity over the course of the day too. This can be helpful for owners who are interested in tracking the amount of exercise their dog gets or how much time their dog spends sleeping on a given day. Most GPS trackers that log activity information only store about 24 hours of data, but some of the best products will record 48 hours or activity or more. Most pet GPS tracking systems will provide your dog’s location when you open the app on your cell phone or look at the handheld device, but this may allow your dog to escape and wander for several miles before you even notice that he’s gone. During this time, he may become injured, and the farther he wanders before you start trying to find him, the less likely you are to be reunited with him. However, high-quality GPS dog trackers usually have an alert feature, which will send messages to your smartphone or desktop computer whenever your dog leaves a predetermined area. This way, you’ll know the moment your dog jumps the fence, so you can spring into action immediately. Some pet GPS tracking devices work with your cell phone, while others work with a dedicated unit. Neither style is better than the other in all cases, but it is definitely something to think about when making your choice. For example, cellphone-based units are often pretty convenient. You will almost always have your phone with you, so you don’t have to worry about lugging any extra gear around when you go for a drive with your pet or simply go for a walk. Most hand-held devices are at least as big as a cell phone, so it can be a pain to carry one around all the time. On the other hand, most hand-held devices will work everywhere, but cell phone service can be spotty in rural areas. Also, using a cell phone to track your dog will be impossible if you don’t have the battery life to do so. So, just be sure to think about this issue carefully, and make the best choice for you and your pet. There are two basic types of GPS trackers for dogs: Those that are designed to clip on to your pet’s existing collar or harness, and those that come with a built-in collar. Both styles present their own benefits and drawbacks, and neither is right for all circumstances. Typically, clip-on units are easier to use, as you won’t have to worry about sizing problems. On the other hand, clip-on trackers may break off your dog’s collar, rendering the unit useless when you need it most. Those that are designed as a combination collar-tracker are less likely to break in this manner, but you’ll need to be careful to review the sizing information provided carefully. While there are a variety of GPS tracking devices for dogs on the market, relatively few deserve serious consideration. 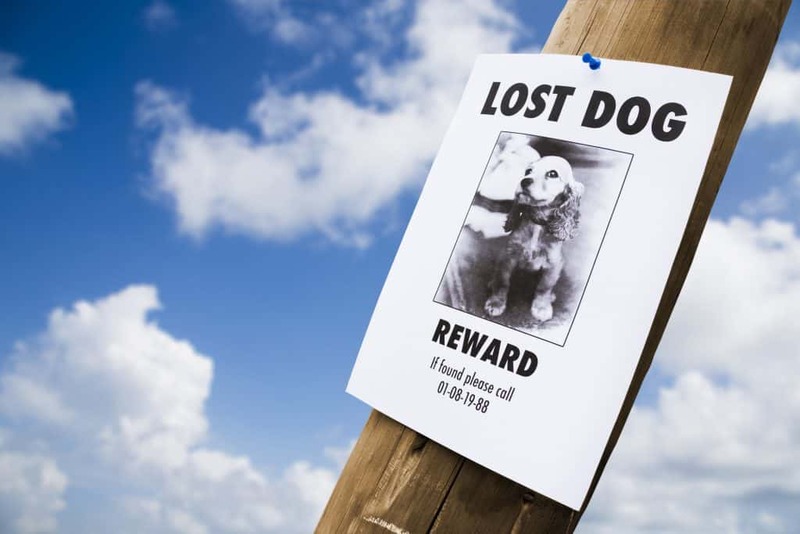 Many of those sold are poor-quality devices, which will only let you down when you are trying to find your lost pet. However, the following five GPS dog trackers are all high-quality products, which should provide dog owners with the peace of mind they need. The Whistle 3 GPS Pet Tracker & Activity Monitor is an effective, yet affordable, tracker that will allow you to pinpoint your dog’s location anywhere in the United States by simply looking down at your smartphone. The Whistle 3 provides automatic alerts if your pet wanders outside of the established boundaries, and it helps you monitor the amount of exercise he’s getting too. Owner Reviews: The Whistle 3 GPS Pet Tracker received stellar reviews from most owners who tried it. The device and accompanying software appear easy to operate and set up (several owners noted that it was ready to go within 10 minutes). A few owners complained about the need for a subscription service, and a very small number of owners had issues using the device in places with poor cell service. Bottom Line: The Whistle 3 Pet Tracker is probably one of the most popular GPS dog trackers on the market, and it is easy to see why. It is not only effective and easy to use, but it is very affordable too. While there may be better options available for hunting and working dogs, this is likely the best choice for the average pet owner. The Link AKC Smart Dog Collar is a premium-quality tracker and activity monitor that works with your smartphone. Unlike some other GPS trackers which clip onto your dog’s collar, the Link AKC is a collar that features a built-in tracker, making it very easy to attach to your dog before heading out the front door. Owner Reviews: The reviews for the Link tracking collar were a bit mixed. Most owners were happy with the tracking features provided by the device, but several complained that the activity monitor functions weren’t very accurate. Link’s customer service department received plenty of praise from owners, but a few complained about the slow GPS refresh rate of the device. 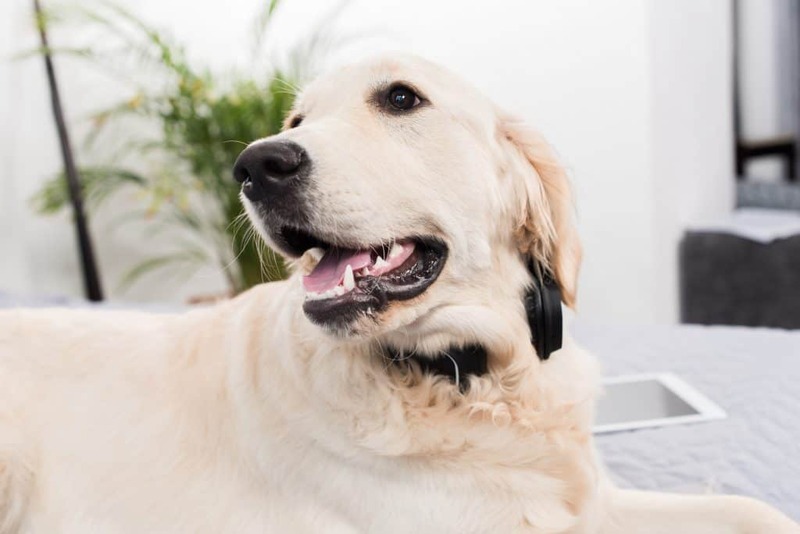 Bottom Line: The Link AKC Smart Dog Collar is a pretty good choice for owners who are primarily interested in the device’s tracking functions – those who primarily want an activity tracker will likely find other products that work better. It is, however, a great choice for owners who want an all-in-one, collar-and-tracker that fits most dogs very comfortably. The Tractive GPS Tracker is a small, clip-on device that you can attach to any collar or harness. Unlike some other GPS trackers, which only work in the United States, the Tractive GPS Tracker works in over 150 countries and doesn’t have any range limitations. It also provides you with the ability to monitor your pet’s activity over the last 24 hours. Owner Reviews: The Tractive 3G Dog GPS Tracker seemed to be well-received by some owners, although others were not happy with the way the unit performed. The tracking functions appear to work well, but many owners had a hard time figuring out how to use the device, and several complained that the customer service department was very unhelpful. Bottom Line: While U.S.-based owners will probably be better served by selecting the Whistle 3 or Link Dog Collar, there is little doubt that international travelers and those living in other countries should select the Tractive GPS device. Just make sure that you review the countries covered by Tractive’s subscription plans before making your purchase. The Dogtra Pathfinder is both a GPS dog tracker and a training collar, which makes it easy to train and keep track of your dog. Although the Pathfinder is primarily marketed to hunters, it will work well for training and monitoring dogs in any type of outdoor setting. 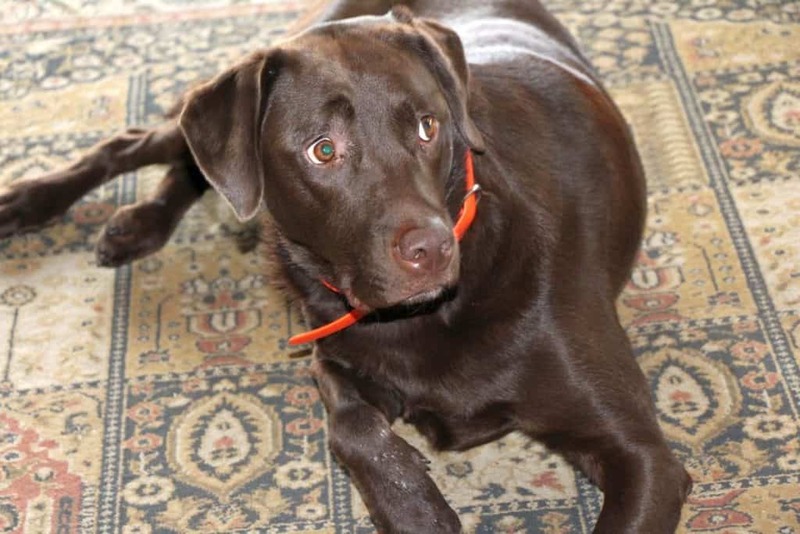 Owner Reviews: The Dogtra Pathfinder received pretty good reviews from most owners who tried it. It is clearly designed for use with hunting and tracking dogs, but several owners found that it worked well for pet dogs too. A few owners did complain that the advertised range of the device was 8 miles, yet the device only appears effective over a 2-mile range. Bottom Line: The Dogtra Pathfinder comes with a pretty expensive price tag, but it’s hard to put a dollar value on your pet’s well-being and safety. However, you’ll need to remember that this isn’t just a tracker – it is a training device too, which may make it worth the additional expense. Also, unlike many of the other GPS trackers we reviewed, the Dogtra Pathfinder doesn’t require a subscription. The Garmin Alpha 100 TT 15 Dog GPS Bundle is a top-of-the-line GPS tracker that is perfect for serious hunters who need to keep track of several dogs at a time. In fact, the Garmin Alpha allows you to track and train up to 20 dogs at a time – you can even see other hunters using Garmin Alpha handheld units on the display screen for maximum safety. Owner Reviews: While a few owners mentioned that there’s a steep learning curve involved in using the unit, most found that it was as good as they’d hoped. In fact, more than one owner said that it “exceeded” expectations. And while a few owners complained about the unit’s high price, most felt that it was ultimately worth the cost. Bottom Line: Garmin has been a leader in GPS technology for decades, so it makes sense that the company would produce one of the best GPS dog trackers on the market. You will pay dearly for the Garmin Alpha 100, but there’s simply no other GPS tracker on the market that provides the combination of features and quality that this unit does. 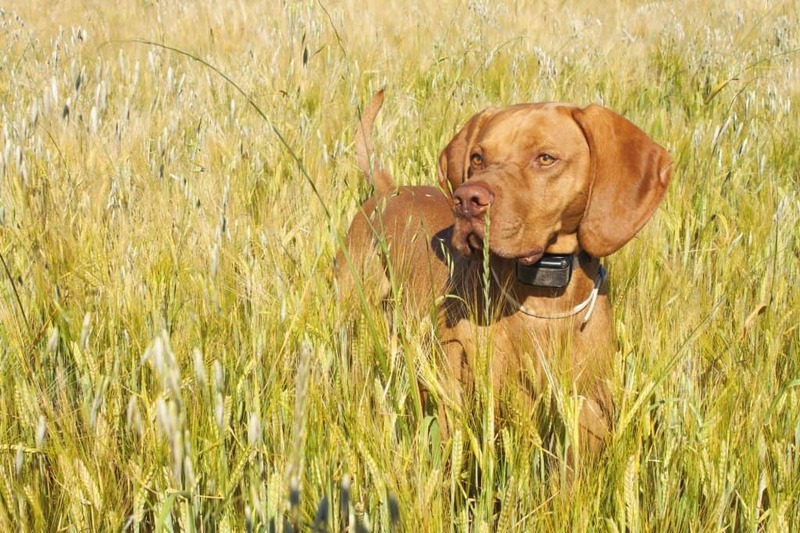 While the Garmin Alpha 100 is probably the best choice for hunting, tracking or working dogs, the Whistle 3 is clearly the best option for typical dog owners. It appears to work very well, and most owners found that it was easy to operate and set up. Additionally, the location device’s waterproof housing is a wonderful bonus – particularly for dogs who like to swim. GPS trackers for dogs are rarely appreciated until they’re necessary, but for those who do find themselves separated from their pet, they’re worth every penny spent. Just be sure that once you do decide to purchase a pet GPS tracker for your dog, you pick a high-quality model, like one of the five detailed above.